Bring a Friend in QC! 👯‍♀️Bring a Friend to class next week!! 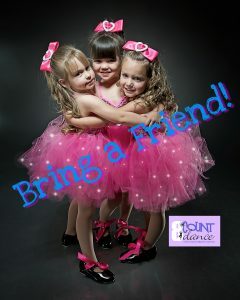 We invite all our students to share their love and passion for dance during Bring a Friend week, Sept. 24-29! !